blimey! loans is an independent secured loan broker. blimey! loans search and compare the secured loans market for the best available products to suit their customer’s individual needs. Their senior management team have over 25 years experience in the financial services sector, mainly processing secured loans. Providing solutions for clients who felt they had run out of options. Making their dreams come true is perhaps a touch cheesy, but this is reality in many cases. The continual drive to grow our business and turn it into something really good for everyone involved. Honesty, enthusiasm and the ability to charm surveyors into happily increasing valuations. My glass is always brimming over! Tony Petrocelli – who was a fictional lawyer portrayed on an American series back in the mid 70s. I’m obviously giving away my age now and I never stuck in enough at school to get to law school! Over the next few years, I think regulation will definitely be the main challenge for brokers and lenders. The general perception of secured lending has come a long way in the last 10 years, but I think we still have some way to go. Integrity, reputation and perhaps being able to demonstrate that we are qualified to do our jobs will all be key factors in ‘raising our game’. The new qualification announced for commercial brokers at the NACFB Expo this week wouldn’t do us any harm either. When mortgage brokers continually phone and ask for a second charge on an unencumbered property. But seriously, my favourite comedian just now is definitely Kevin Bridges. Only if I’ve been out on Sunday night. Running your own business is definitely hard work – but it also never really feels like real work if that makes sense – so no I have a spring in my step on a Monday, the same as any other day. Hmm, it’s difficult to improve on perfection – but maybe a few inches taller and I could leave my platforms in the wardrobe. Stephen Fry for his wit, Alan Carr for some general mayhem and Kelly Brook for intelligent conversation. This entry was posted in The Five Minute Interview and tagged Alistair Ewing, blimey! 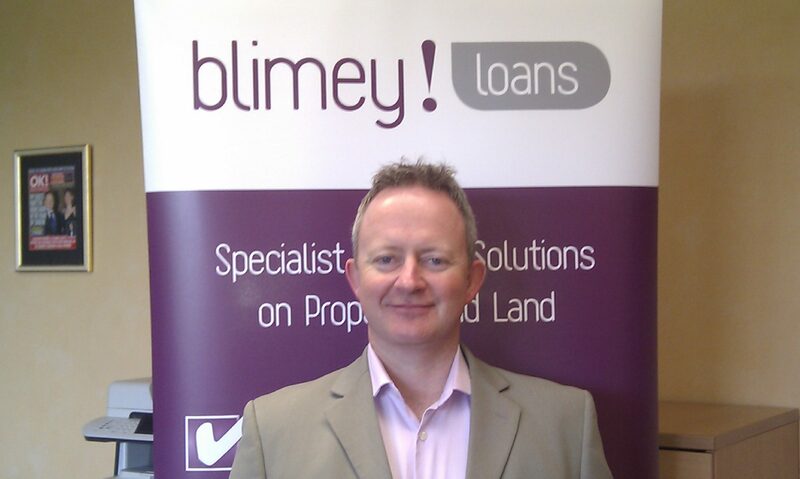 loans, Secured Loan Directory, secured loans, The Five Minute Interview. Bookmark the permalink.